Joseph J. Ellis has 1 media appearance. Joseph J. Ellis discusses Passionate Sage: The Character and Legacy of John Adams. Pulitzer Prize-winning historian Ellis presents a portrait of one of the most crucial and misconstrued periods in American history: the years between the end of the Revolution and the formation of the federal government— and the four men most responsible—George Washington, Alexander Hamilton, John Jay, and James Madison. Luncheon. Joseph Ellis "Revolutionary Summer: The Birth of American Independence"
A distinctive portrait of the crescendo moment in American history from the Pulitzer-winning American historian, Joseph Ellis. The summer months of 1776 witnessed the most consequential events in the story of our country’s founding. Revolutionary Summer tells an old story in a new way, with a freshness at once colorful and compelling. Revolutionary Summer tells an old story in a new way, with a freshness at once colorful and compelling. Joseph Ellis is the Pulitzer Prize-winning author of Founding Brothers. His portrait of Thomas Jefferson, American Sphinx, won the National Book Award. He lives in Amherst, Massachusetts, with his wife and their youngest son. 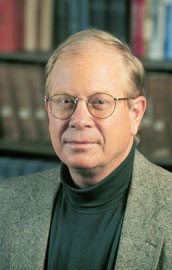 Joseph J. Ellis is currently considered a "single author." If one or more works are by a distinct, homonymous authors, go ahead and split the author. Joseph J. Ellis is composed of 5 names. You can examine and separate out names.